1. 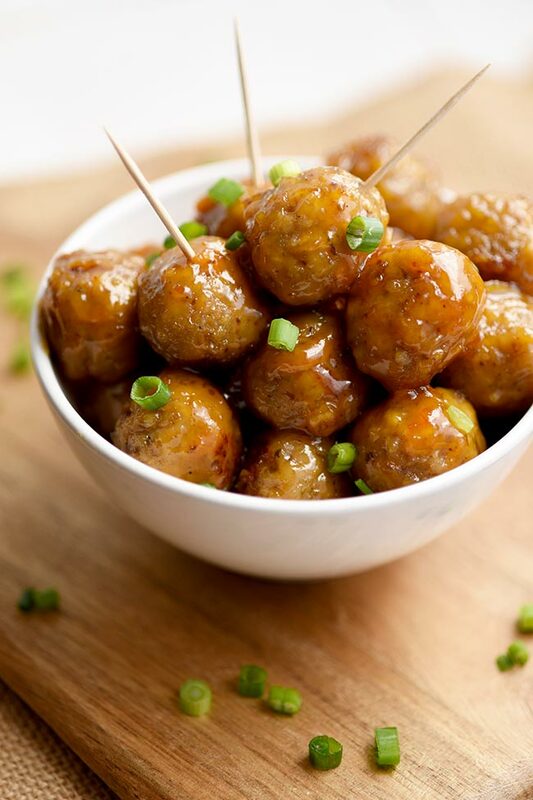 Add frozen meatballs, orange marmalade, yellow mustard and Sriracha sauce to your crockpot. 3. *To speed up the cooking process, you could cook these on the stove in a large pot on high for about 10 minutes and then transfer to a crockpot to keep warm. 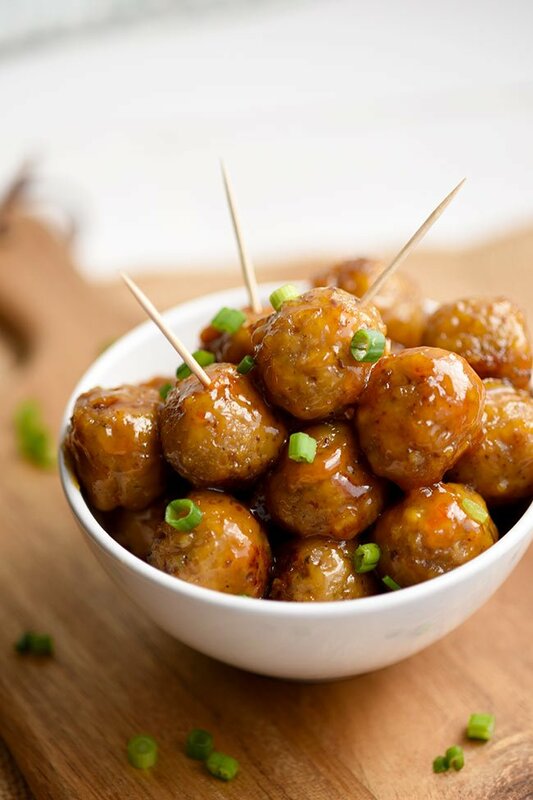 These 4-ingredient spicy orange marmalade meatballs are always a crowd pleaser! Crockpot appetizers are great for when you’re short on time but you still want to bring or serve something delicious. I love this super easy meatball appetizer recipe because it’s not your typical grape jelly and chili sauce meatball recipe, although those are yummy. 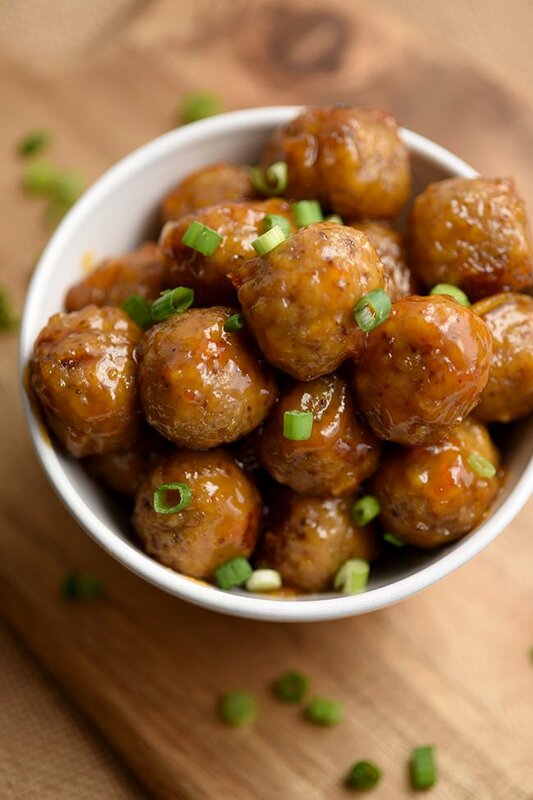 These spicy orange marmalade meatballs are yummy and so easy! 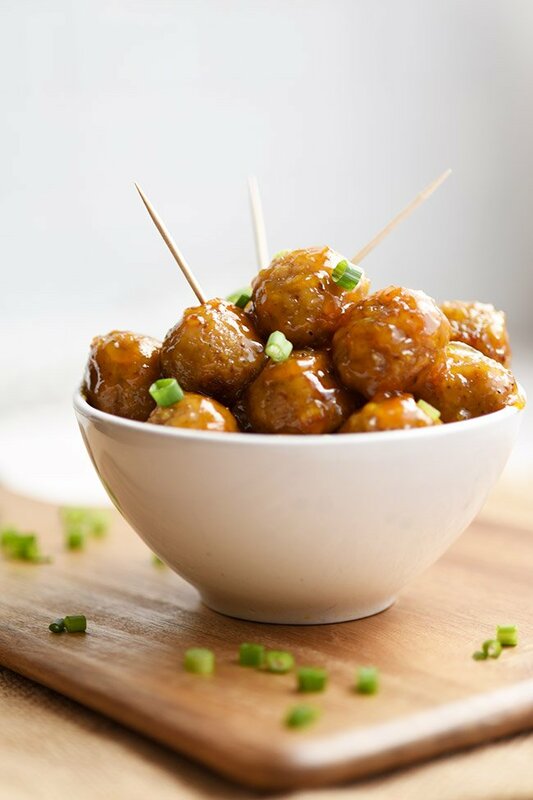 The sweet and spicy flavor of these orange marmalade meatballs is unique and comes together really easily using just Sriracha, orange marmalade and mustard. What kind of jelly and spicy sauce is best? I’ve been really trying to make an effort to cut out junk ingredients lately. After reading quite a few labels, I found that Sriracha has more natural ingredients than chili sauce so I opted for that vs. chili sauce to give these meatballs some spice. 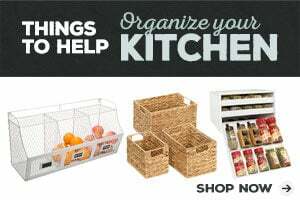 You can find most flavor of jelly or jam in a “Natural” variety now. Orange marmalade is no exception. Then all you need is table mustard to ties these two flavors together. Just add meatballs and a crockpot and you’re done! Easy peasy! Garnish only if you want. If you want to go the extra mile, toss some chopped green onions on top. They add some nice fresh green color and also a little flavor and crunch. Totally optional though! What type of meatballs are best? Can you use frozen meatballs? You can use any variety of meatball you prefer. Go light and choose a meatless “meatball” or turkey meatballs. Use pork meatball or beef. Make your own meatballs or buy frozen. Totally up to you! Just avoid Italian seasoned meatballs since they have more of an Asian flavor. This is a question I hear a lot. It depends if the meatballs are precooked or raw. If you’re using already cooked frozen meatballs, you only need to “cook” them long enough for them to be thoroughly heated all the way to the center. In this sauce, that takes about an hour on high heat. However, you can test one by cutting it in half and carefully feeling the center to see if it’s hot. If you’re making your own meatballs using raw meat, I’d recommend cooking them first in the oven then adding them to your crockpot with the sauce. What do you need to make these meatballs? That’s it! This is such an easy appetizer. Perfect to take to a pot luck, serve at a party you’re hosting, or serve them over rice for an easy dinner! 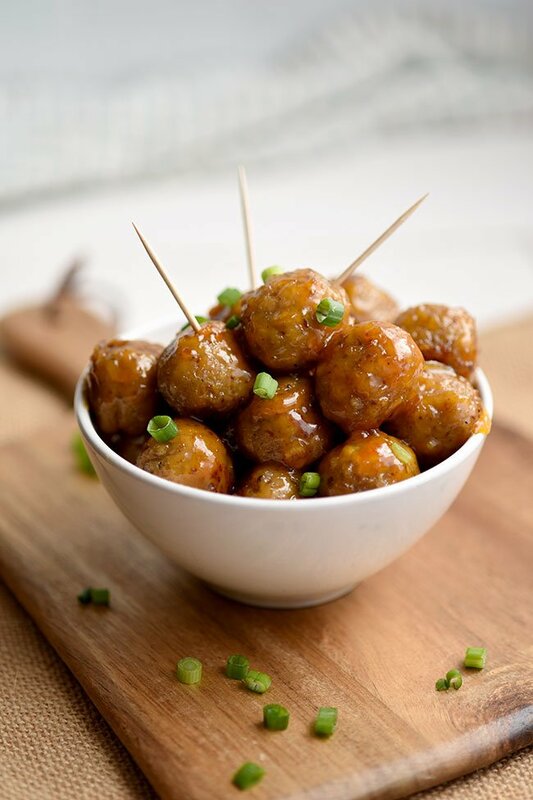 These orange marmalade meatballs were featured on Sew It Craft It Cook It and Meal Plan Monday!